From the moment you enter class, you are immersed in the target language–playing games and activities, making music, practicing basic literacy, creating art and moving to music. Our teachers are native speakers who are great at ensuring everyone understands! Our curriculum is based on the communicative approach, so you’re learning words, phrases and expressions that you can use right away. Do you say hello with one kiss, two kisses or a bow? Knowing the right words is only one part of communication. We cover the other parts too —the how and the when. Students will also get to experience other rich cultural elements such as music and art. 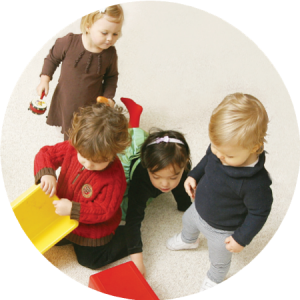 LanguagePlay classes are focused on having fun while learning. 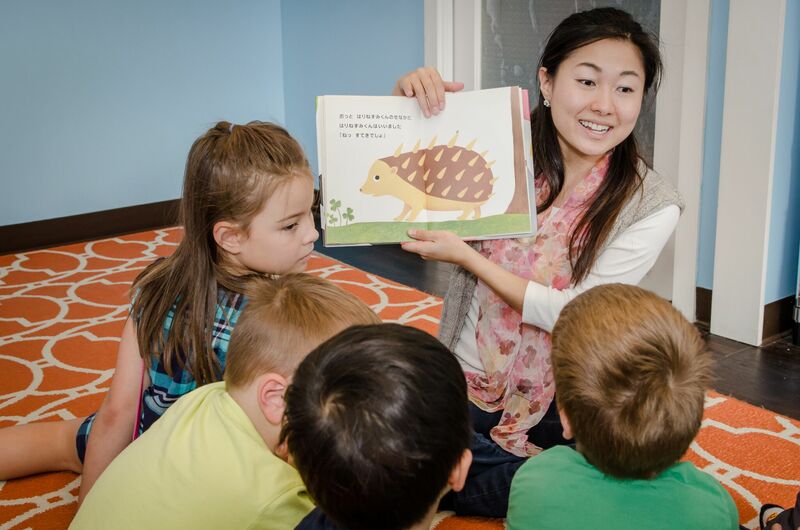 The varied activities are designed to stimulate and improve language at each child’s individual level all while connecting them with fundamental academic skills and social awareness. 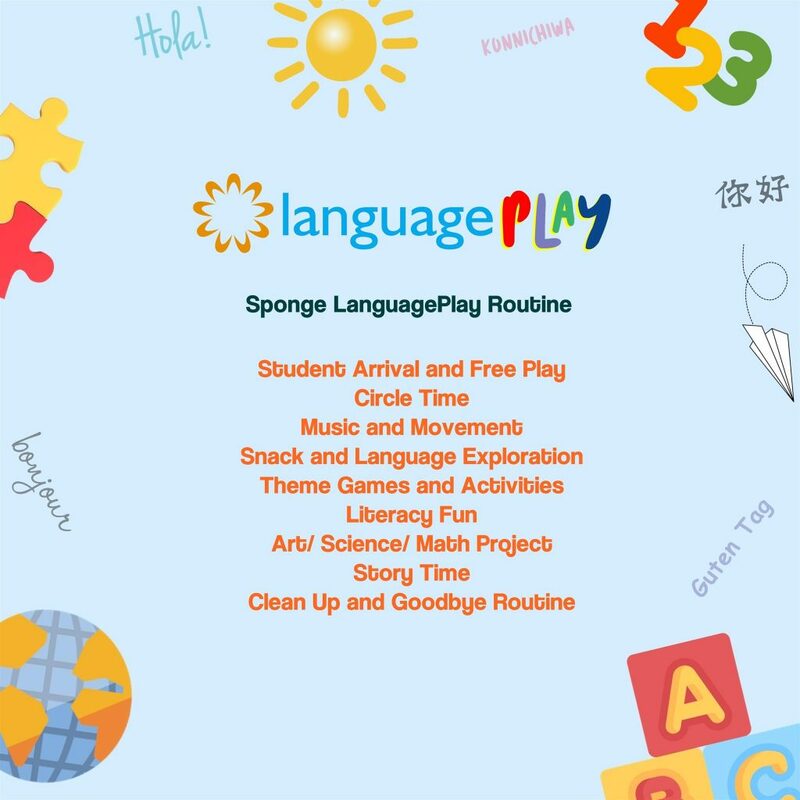 LanguagePlay classes include engaging music, movement, art, math, reading, writing and science projects that are theme related. Students are also given the chance to engage in self-directed free play in various learning stations throughout the classroom that include toys and activities related to the unit themes and topics. Most importantly, children have fun while exploring a new language and culture! The curriculum builds on our existing classes by expanding it to include more art, science, and basic literacy in the target language. This helps each child grow toward independence in our increasingly global society by building confidence, curiosity, self-esteem and friendships. This program is designed for 3 to 5 year old children. At this stage, kids are mastering their native language and they naturally use these skills with their second language, too. We play games, do crafts, practice basic literacy, sing, move, have snack and lunch – all in language. Our curriculum focuses on practical everyday language with new, fun thematic units every 5 weeks.